As you can see below from the picture, the pork rinds are unrecognizable. You may even be thinking its impossible to get a chip out of a pork rind, but we've done it for you and they came out even better than expected. The trick to these chips is process the pork rinds with Mexican frying cheese. You can use any kind, but we went for Queso Blanco and it came out perfect. This particular cheese isn't melty like the others we are used to so when you fry it up it binds everything together to create the chip. We also added a taco seasoning mixture to give it some kick. Even if all you had for a nachos topping was cheese, they would be just as delicious as the rest. Pork rinds don't only make the best low carb chips, although this is definitely my favorite re-purpose thus far. They also make for a great breading for frying or baking basically any meat or vegetable as can be seen in our double crunch Low Carb Onion Rings, and for a crunchy topping on any side dish as seen in our Cauliflower Mac and Cheese. The best part about this recipe is that since you are completely changing the form and flavor of these pork rinds, it doesn't matter what kind you use. Our personal favorite pork rinds are Mac's Pork Rinds, but when we make this recipe we use whatever cheap pork rinds we can find in our nearest grocery store! We wanted to keep it simple and easy for the sake of the holidays, but who wants boring nachos?! We had some short rib in the fridge that we cooked up and nachos are nachos without cheese, guacamole and some salsa or tomatoes. So there you have it, the best Pork Rind Nachos you'll ever eat. 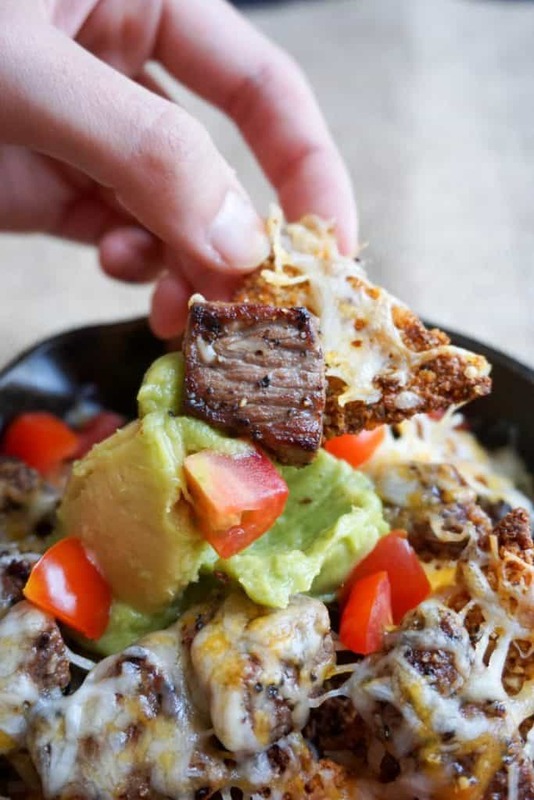 Recipe can be quickly added to MyFitnessPal - Search "KetoConnect - Pork Rind Nachos"